BSI Standards Publication BS EN 1500:2013 Chemical disinfectants and antiseptics — Hygienic handrub — Test method and requirements (phase 2/step 2)BS EN 1500:2013 BRITISH STANDARD National foreword This British Standard is the UK implementation of EN 1500:2013. It supersedes BS EN 1500:1997 which is withdrawn. The UK participation in its preparation was entrusted to Technical Committee CH/216, Chemical disinfectants and antiseptics. A list of organizations represented on this committee can be obtained on request to its secretary. This publication does not purport to include all the necessary provisions of a contract. Users are responsible for its correct application. © The British Standards Institution 2013. Published by BSI Standards Limited 2013 ISBN 978 0 580 74828 8 ICS 11.080.20; 71.100.35 Compliance with a British Standard cannot confer immunity from legal obligations. This British Standard was published under the authority of the Standards Policy and Strategy Committee on 31 May 2013. Amendments issued since publication Date Text affectedBS EN 1500:2013EUROPEAN STANDARD NORME EUROPÉENNE EUROPÄISCHE NORM EN 1500 April 2013 ICS 11.080.20; 71.100.35 Supersedes EN 1500:1997 English Version Chemical disinfectants and antiseptics - Hygienic handrub - Test method and requirements (phase 2/step 2) Antiseptiques et désinfectants chimiques - Traitement hygiénique de mains par frictions - Méthode d essai et prescriptions (phase 2/étape 2) Chemische Desinfektionsmittel und Antiseptika - Hygienische Händedesinfektion - Prüfverfahren und Anforderungen (Phase 2/Stufe 2) This European Standard was approved by CEN on 1 March 2013. CEN members are bound to comply with the CEN/CENELEC Internal Regulations which stipulate the conditions for giving this European Standard the status of a national standard without any alteration. Up-to-date lists and bibliographical references concerning such national standards may be obtained on application to the CEN-CENELEC Management Centre or to any CEN member. This European Standard exists in three official versions (English, French, German). A version in any other language made by translation under the responsibility of a CEN member into its own language and notified to the CEN-CENELEC Management Centre has the same status as the official versions. CEN members are the national standards bodies of Austria, Belgium, Bulgaria, Croatia, Cyprus, Czech Republic, Denmark, Estonia, Finland, Former Yugoslav Republic of Macedonia, France, Germany, Greece, Hungary, Iceland, Ireland, Italy, Latvia, Lithuania, Luxembourg, Malta, Netherlands, Norway, Poland, Portugal, Romania, Slovakia, Slovenia, Spain, Sweden, Switzerland, Turkey and United Kingdom. EUROPEAN COMMITTEE FOR STANDARDIZATION COMITÉ EUROPÉEN DE NORMALISATION EUROPÄISCHES KOMITEE FÜR NORMUNG Management Centre: Avenue Marnix 17, B-1000 Brussels © 2013 CEN All rights of exploitation in any form and by any means reserved worldwide for CEN national Members. Ref. No. EN 1500:2013: EBS EN 1500:2013 EN 1500:2013 (E) 2 Contents Page Foreword 3 1 Scope 4 2 Normative references 4 3 Terms and definitions .4 4 Requirements .4 5 Test method 4 5.1 Principle 4 5.2 Materials and reagents 5 5.2.1 Test organism 5 5.2.2 Culture media and reagents .5 5.3 Apparatus and glassware .8 5.3.1 General 8 5.3.2 Usual microbiological laboratory equipmentand, in particular, the following: .8 5.4 Preparation of test organism suspensions and product test solutions 9 5.4.1 Test organism suspensions (test and validation suspension) .9 5.4.2 Product test solutions 11 5.5 Procedure for assessing the bactericidal activity of the product on volunteers hands 11 5.5.1 General . 11 5.5.2 Neutralization – control and validation 12 5.5.3 Test procedure with volunteers 13 5.5.4 Incubation and counting of the test mixture and the control and validation mixtures . 15 5.6 Experimental data and calculation 15 5.6.1 Explanation of terms and abbreviations 15 5.6.2 Calculation . 15 5.7 Verification of the methodology - Test validation . 18 5.7.1 Acceptance criteria for test results. 18 5.7.2 Control of weighted mean counts . 19 5.7.3 Basic limits 19 5.8 Statistical evaluation (significance testing), expression of results and precision 19 5.9 Conclusion 19 5.10 Test report . 20 Annex A (normative) Standard handrub procedure . 22 Annex B (informative) Neutralizers and rinsing liquids . 23 Annex C (informative) Control and validation of neutralization 25 Annex D (informative) Quality control of soft soap 26 Annex E (informative) Examples of reporting of results and significance testing 27 Annex F (normative) Test for non-inferiority 35 Bibliography . 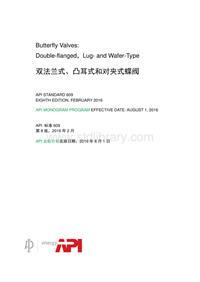 37 BS EN 1500:2013 EN 1500:2013 (E) 3 Foreword This document (EN 1500:2013) has been prepared by Technical Committee CEN/TC 216 “Chemical disinfectants and antiseptics”, the secretariat of which is held by AFNOR. This European Standard shall be given the status of a national standard, either by publication of an identical text or by endorsement, at the latest by October 2013, and conflicting national standards shall be withdrawn at the latest by October 2013. Attention is drawn to the possibility that some of the elements of this document may be the subject of patent rights. CEN [and/or CENELEC] shall not be held responsible for identifying any or all such patent rights. This document supersedes EN 1500:1997. This document was revised to adapt it to the latest state of science, to correct errors and ambiguities, to harmonise the structure and wording with other tests of CEN/TC 216 existing or in preparation and to improve the readability of the standard and thereby make it more understandable. The following technical changes have been made:  Neutralization (5.5.1.2).  The number of volunteers (5.5.1.4).  The statistical evaluation (5.8).  The annexes have been completely revised. Data obtained using the former version of EN 1500 may still be used, if it is supplemented by data on neutralization, additional results from more volunteers and the new statistical evaluation of the “mixed” (old and new) set of data. The additional results will be obtained preferably in the same laboratory and with volunteers not having participated in the previous (“old”) study. If the neutralizer used in the test using the former version is not sufficiently neutralizing, a complete new test will be run. The changed procedure in Annex A is regarded as having no (or negligible) influence on the results. According to the CEN-CENELEC Internal Regulations, the national standards organisations of the following countries are bound to implement this European Standard: Austria, Belgium, Bulgaria, Croatia, Cyprus, Czech Republic, Denmark, Estonia, Finland, Former Yugoslav Republic of Macedonia, France, Germany, Greece, Hungary, Iceland, Ireland, Italy, Latvia, Lithuania, Luxembourg, Malta, Netherlands, Norway, Poland, Portugal, Romania, Slovakia, Slovenia, Spain, Sweden, Switzerland, Turkey and the United Kingdom. BS EN 1500:2013 EN 1500:2013 (E) 4 1 Scope This European Standard specifies a test method simulating practical conditions for establishing whether a product for hygienic handrub reduces the release of transient microbial flora on hands when rubbed onto the artificially contaminated hands of volunteers. NOTE 1 Attention is drawn to the fact that tests on human volunteers are the subject of legal provisions in certain European countries/regions. This European Standard applies to products for hygienic handrub for use in areas and situations where disinfection is medically indicated. Such indications occur in patient care, for example:  in hospitals, in community medical facilities and in dental institutions,  in clinics of schools, of kindergartens and of nursing homes; and may occur in the workplace and in the home. It may also include services such as laundries and kitchens supplying products directly for the patient. EN 14885 specifies in detail the relationship of the various tests to one another and to “use recommendations”. NOTE 2 This method corresponds to a phase 2, step 2 test. 2 Normative references The following documents, in whole or in part, are normatively referenced in this document and are indispensable for its application. For dated references, only the edition cited applies. For undated references, the latest edition of the referenced document (including any amendments) applies. EN 12353, Chemical disinfectants and antiseptics — Preservation of test organisms used for the determination of bactericidal (including Legionella), mycobactericidal, sporicidal, fungicidal and virucidal (including bacteriophages) activity EN 14885, Chemical disinfectants and antiseptics — Application of European Standards for chemical disinfectants and antiseptics 3 Terms and definitions For the purposes of this document, the terms and definitions given in EN 14885 apply. 4 Requirements When tested in accordance with Clause 5, the mean reduction of the release of the test organism Escherichia coli K12 achieved by the hygienic handrub with the product under test shall be at least not inferior to that achieved by a specified reference hygienic handrub (60 % volume concentration of propan-2-ol). 5 Test method 5.1 Principle Hands of volunteers are artificially contaminated with test organisms. The number of test organisms released from their fingertips into sampling fluids is assessed before and after the hygienic handrub. The ratio of the BS EN 1500:2013 EN 1500:2013 (E) 5 two resulting values represents a measure for the antimicrobial activity of the product tested. The necessary precision is achieved by repeating the test on 18 to 22 volunteers. To compensate for extraneous influences it is compared with the reduction obtained by a reference handrub, which is performed with the same volunteers, on the same day and under comparable environmental conditions. Prior to the test, a suitable neutralizer is validated. The neutralizer is used as a sampling fluid for recovering the test organisms after the hygienic handrub to ensure that the bactericidal and/or bacteriostatic activity in the sampling fluids is neutralized or suppressed. 5.2 Materials and reagents 5.2.1 Test organism Escherichia coli K12 NCTC 10538; CIP 54.117; NCIMB 10083 1)NOTE This test organism has been specifically chosen to meet health and safety guidance and ethical committee considerations. It is a K12 strain of E. coli of normal flora origin internationally recognised as being non-pathogenic. According to the UK catalogue of the National Collections of Industrial  prepare solution B: dissolve 35,02 g sodium bicarbonate (NaHCO 3 ) in water (5.2.2.2) and dilute to 1000 ml. Sterilise by membrane filtration (5.3.2.7). Store the solution in the refrigerator (5.3.2.8) for no longer than one week;  place 600 ml to 700 ml of water (5.2.2.2) in a 1 000 ml volumetric flask (5.3.2.12) and add 6,0 ml (5.3.2.9) of solution A, then 8,0 ml of solution B. Mix and dilute to 1000 ml with water (5.2.2.2). The pH of the hard water shall be 7,0 ± 0,2, when measured at 20 °C ± 1 °C (5.3.2.4). If necessary, adjust the pH by using a solution of approximately 40 g/l (about 1 mol/l) of sodium hydroxide (NaOH) or approximately 36,5 g/l (about 1 mol/l) of hydrochloric acid (HCl). The hard water shall be freshly prepared under aseptic conditions and used within 12 h. NOTE When preparing the product test solutions (5.4.2), the addition of the product to the hard water produces a different final water hardness in each test tube. In any case, the final hardness, expressed as calcium carbonate (CaCO 3) in the test tube, is lower than 375 mg/l. 5.2.2.8 Propan-2-ol as reference handrub [52,3 % (weight concentration) corresponding to 60 % (volume concentration) at 20 °C ] Fill 471 g propan-2-ol [1 ] with a purity of min. 99,5 % V/V (determined by gas chromatography; density 0,785) in a 1000 ml flask equipped with a glass stopper on the weighing platform of a scale (precision 0,1 g). Add 429 g water (5.2.2.2). This will give a volume of approximately 1 000 ml. Close the flask with the matching glass stopper and shake the contents of the flask thoroughly. NOTE This solution can be kept indefinitely at approximately room temperature if protected from light.